Acclaimed as a ‘Product of the Year’ by the notable Horse Journal because: “It does what it claims to do“, “results are clearly superior” and “what our testers have found they simply wouldn’t be without again“. Banixx continues its reputation as a fast-acting, affordable aid in the recovery of every kind of bacterial and fungal infection. 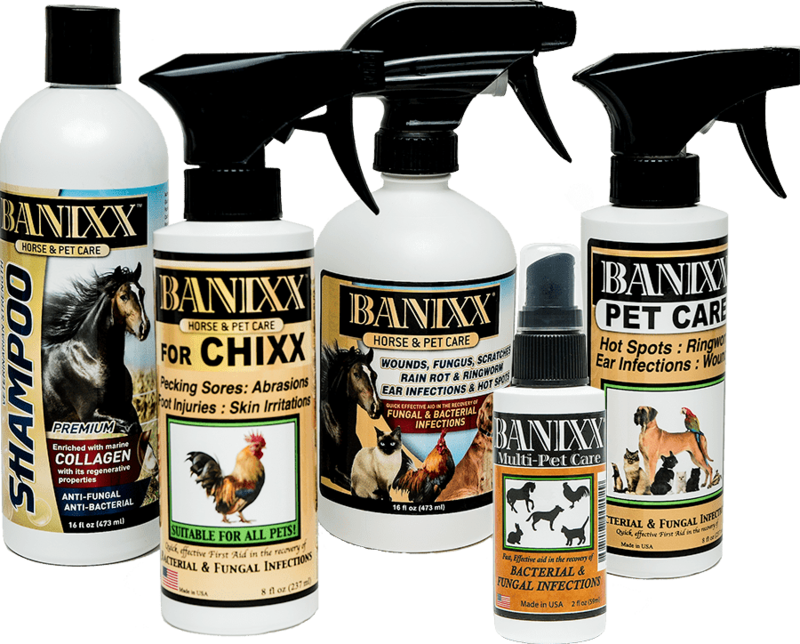 Banixx has no foreign scent or sting to frighten your horse and is clinically tested to be Safe around the Eye. It is steroid-free, antibiotic-free and bio-degradable; with a minimum shelf life of three years, Banixx remains viable even after freezing.